The headphones feature a neckband design and are worn on the neck. The Necklace OEB-E54D comes with magnetic earbuds and can be connected to your smartphone and other devices via Bluetooth. 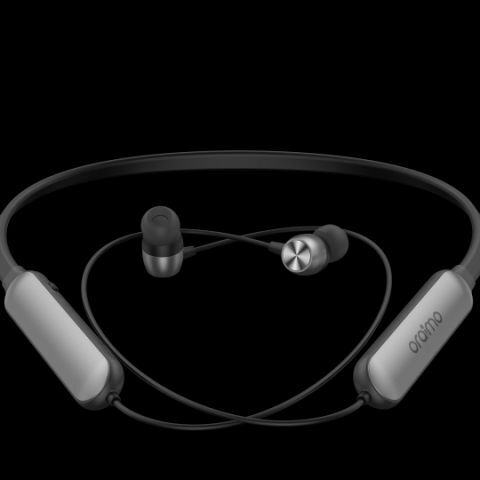 Oraimo has launched its latest Necklace OEB-E54D neckband earphones priced at Rs 2,799. The device is Bluetooth V4.1 enabled and come with an adjustable neckband. The company says that the device can deliver up to 8 hours of continuous audio playback and up to 200 hours of standby time. With a flexible necklace design, the neckband earphones are embedded with magnetic buds and HD voice quality that delivers high quality, crystal clear sound for bass mid and highs. Priced at INR 2,799, the ergonomically designed earbuds come with an adjustable neckband that ensures superior wearing comfort for the consumers on the go. With an exceptional design and volume control feature, oraimo Necklace OEB-E54D delivers high-quality clear crystal sound for bass. The earphones are equipped with Bluetooth Version, V4.1 and connect easily with any smart device. The impressive battery capacity enables you to play music upto 8 hours continuously satiating the need of music buffs, offering crisper sound quality. The superbly comfortable design doesn’t fatigue your ear and allow you to have a long conversation at a stretch and also, have stand by time to upto 200 hours. These classy and contemporary pair of earphones can be purchased from various mobile accessories and electronics stores.